means Johnny Hammond Ltd, a limited company registered in England under company number 7882602,, whose registered address is 20-22 Wenlock Road, London, N1 7GU, England, and whose main trading address is 81 Cowley Road, London SW14 8QD. 2.1 Our Site is owned and operated by Johnny Hammond Ltd, a limited company registered in England under company number 7882602, whose registered address is 20-22 Wenlock Road, London, N1 7GU, England and whose main trading address is 81 Cowley Road, London SW14 8QD. 2.2 Our Data Privacy Manager is Jonathan Hammond, and can be contacted by email at info@johnnyhammondcoaching.co.uk or by post at 20-22 Wenlock Road, London, N1 7GU. 2.3 We are registered with the ICO as a data controller. Registration reference is: ZA151029. 3.6 For more specific details of the Cookies that We use, please refer to the details below. 4.4 Comment Cookies – If you leave a comment on our site you may opt-in to saving your name, email address and website in cookies. These are for your convenience so that you do not have to fill in your details again when you leave another comment. These cookies will last for one year. 4.5 Account Cookies – If you have an account and you log in to this site, we will set a temporary cookie to determine if your browser accepts cookies. 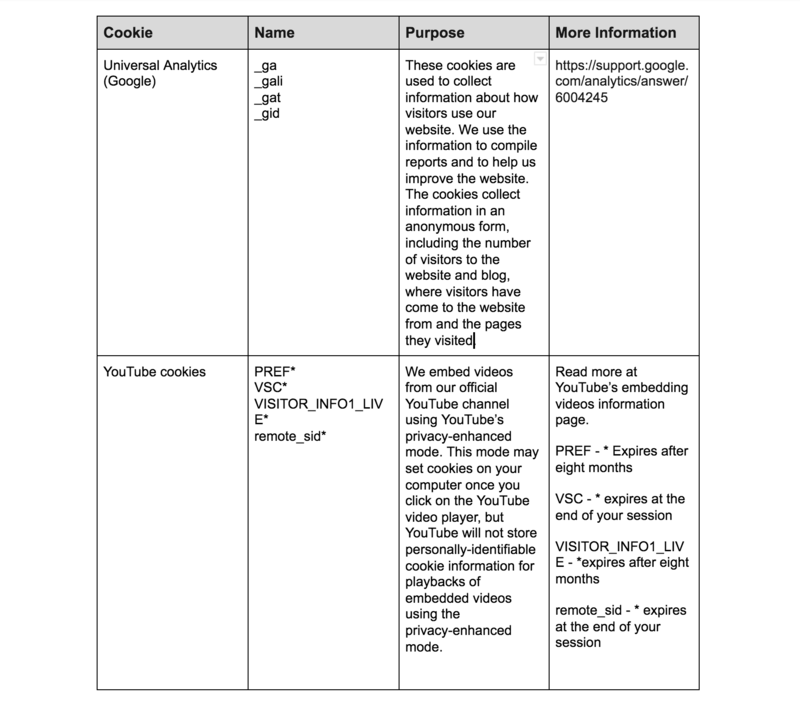 This cookie contains no personal data and is discarded when you close your browser. 4.6 Login Cookies – When you log in, we will also set up several cookies to save your login information and your screen display choices. Login cookies last for two days, and screen options cookies last for a year. If you select “Remember Me”, your login will persist for two weeks. If you log out of your account, the login cookies will be removed. 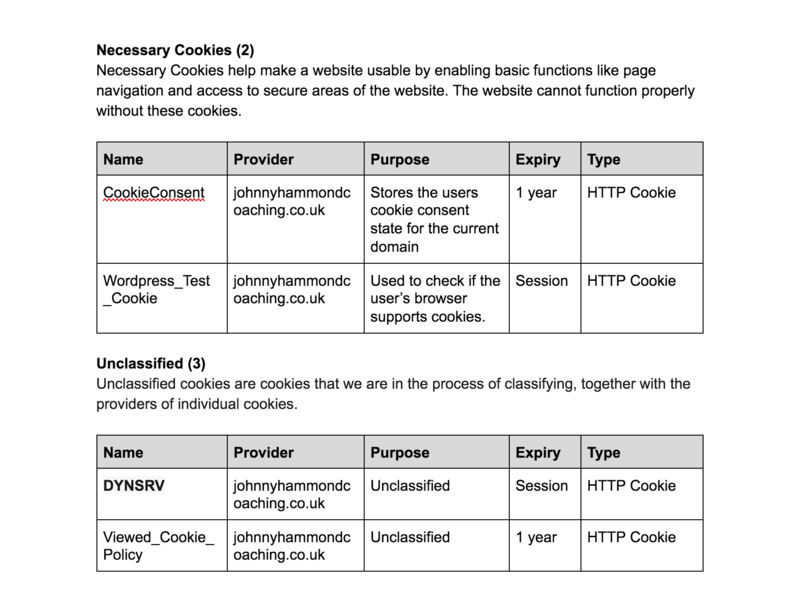 4.7 Blog Cookies – If you edit or publish an article, an additional cookie will be saved in your browser. This cookie includes no personal data and simply indicates the post ID of the article you just edited. It expires after 1 day. 5.1 Before Cookies are placed on your computer or device, you will be shown a Cookie bar requesting your consent to set those Cookies. By giving your consent to the placing of Cookies you are enabling Us to provide the best possible experience and service to you. You may, if you wish, deny consent to the placing of Cookies unless those Cookies are strictly necessary; however certain features of Our Site may not function fully or as intended.